Last year many smartphone manufacturers spoiled us with some truly great smartphones. None of them were quite perfect, but every one of them had something new and impressive. Motorola amazed the world with the first shatterproof display on the Droid Turbo 2 while Samsung delivered one of the most beautiful displays integrated into the Galaxy Note 5. Of course, the displays of the respective smartphones isn’t their only good feature, but it is the best feature of both of them. Thankfully, they are high-end devices, so the majority of their features are impressive, and we thought we should compare the two smartphones to see which could be better than the other. Samsung’s Galaxy Note 5 was released last August and ever since then it was considered to be one of the flagship devices of 2015. The design of the device didn’t bring big changes design-wise compared to the previous Galaxy Note model, but it did come with a little extra power, a better screen-to-body ratio, and higher density. The Galaxy Note 5 has a simple, metal and glass design which some people love and other people hate. It has elegant lines, rounded edges, and a physical button on the front panel, placed between two capacitive buttons, shown on all the Samsung Galaxy smartphones. The 5.7-inch Super AMOLED touchscreen of the note 5 is one of the most beautiful ones on the market, and even those who don’t like Samsung must admit it. The images delivered by this screen are accurate, bright, and overall beautiful. It offers 1440 x 2560 pixels resolution and 518 ppi pixel density, deep blacks and amazing colors. The screen is protected by Corning Gorilla Glass 4, which makes it quite durable, but users should still avoid to drop it because it will shatter at one point. The device is powered by an Exynos 7420 chipset, an octa-core processor, four of the cores clocked at 1.5GHz and the other four at 2.1GHZ. It features a Mali-T760MP8 and includes 4GB of RAM, which turns this particular smartphone into a fast-working and efficient one. 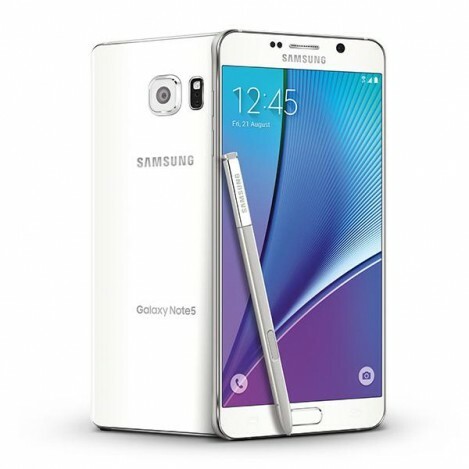 The Galaxy Note 5 is available in three variants, with 32, 64 or 128GB of internal storage. Users most choose wisely, because the phone doesn’t offer the possibility to further extend the storage, so what is included is all they get. Out of the box, the Note 5 runs on Android 5.1.1 Lollipop, but it will get the Android Marshmallow update soon. The Note 5 is equipped with a 16MP back camera that features f/1.9 aperture, optical image stabilization, phase detection, autofocus, touch focus, face detection, and is able to record 4K video. The 5MP front-facing camera has the same aperture, and it is perfect for selfies or video calls. This camera is only able to capture 1440p@30fps video, unlike the back camera which records 2160p@30fps and 1080p@60fps video. Both cameras feature HDR, and the back camera is able to capture pictures in panorama mode. The Samsung Galaxy Note 5 has a 3000mAh battery, which isn’t the lowest-capacity one on the market, but still could be a lot larger in order to ensure a better battery life for this rather powerful smartphone and its high-resolution display. Other features of the Note 5 include a fingerprint sensor, accelerometer, gyro, proximity, compass, barometer, heart rate monitor, and wireless charging. It offers Wi-Fi 802.11 and Bluetooth 4.2, alongside GPS. Overall, the Galaxy Note 5 is a high-quality smartphone with a lot of great features and quite a lot of power under the hood. Of course, all this comes for a price, and in the case of the Note 5, it is a quite large one since the device can be purchased for around $700, which is not affordable for everyone. 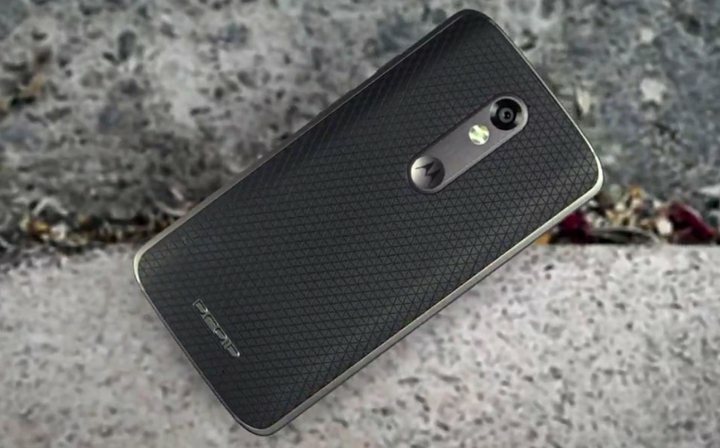 The Droid Turbo 2, also known as the Moto X Force outside the USA, was launched alongside the Moto Droid Turbo Maxx 2 at the end of October 2015, and it amazed everyone with its shatterproof screen. The design of the Droid Turbo 2 is a little bit bulkier than the one of the Galaxy Note 5, but it still looks and feels quite premium. It has a curved body which grants a better grip, so users won’t accidentally drop it as often as the Note 5, even if we don’t consider the slippery materials the Samsung flagship is made from. The Droid Turbo 2 is slightly smaller, and it has a lower screen-to-body ratio than the Note 5, and it is only 2g lighter, which is a little surprising given the fact that it is the smaller device between the two. Of course, the heavier body has an explanation, and a pretty good one too: the battery of the Motorola device is larger than the one of Note 5. The display of the Turbo 2 is a 5.4-inch AMOLED one, with the same 1440 x 2560 pixels resolution and a higher pixel density than the one featured by the Samsung Galaxy Note 5. Even so, the quality of the images won’t be quite as stunning as the one delivered by the Note 5. That screen is just more beautiful. Of course, that is a Super AMOLED while the Droid Turbo 2’s is only AMOLED, and the majority of people will notice the difference. What is unique about the display of the Motorola Droid Turbo 2 is the shatterproof technology that makes sure that the screen will not break even when dropped on rough surfaces. This may not be really important for some smartphone users, but the truth is that this feature only could sell the smartphone to many people. How great is to know that your smartphone won’t break at the first fall? In terms of power, the Droid Turbo 2 has a Qualcomm MSM8994 Snapdragon 810 chipset with an octa-core processor, so there will be no problem when it comes to working smooth. However, the Exynos 7420 of the Note 5 could be the winner here because it won’t overheat like the Snapdragon processor. The Turbo 2 includes only 3GB of RAM and it comes in 32GB or 64GB versions, but it has one big advantage compared to the Note 5: its storage can be extended by up to 200GB thanks to its microSD card slot. The users of this Motorola model will definitely not have to complain about the fact that their music, videos, and games don’t have enough space on their smartphone. Just like the Note 5, the Droid Turbo 2 comes with Android 5.1.1 Lollipop out of the box, but it is planned to receive the Marshmallow upgrade. On paper, the primary camera of the Droid Turbo 2 definitely seems to be more powerful. It has a 21MP sensor, f/2.0 aperture, phase detection, autofocus, geo-tagging, touch focus, face detection, panorama, auto-HDR, and it is able to record 2160p@30fps and 1080p@30fps video, just like the Note 5. However, the Droid Turbo 2’s camera lacks the optical image stabilization, which could make the difference for some users. On the other hand, the Turbo 2 features dual-tone LED flash, which can help in capturing some great pictures with more natural colors. The secondary camera of the Motorola device is similar to the one of the Samsung smartphone, with a 5MP sensor. The battery of the Droid smartphone is also more impressive than the one of the Galaxy Note 5. It is a higher capacity, 3760mAh, battery that is able to ensure a much better battery life than the nOte 5’s 3000mAh battery. The Motorola device doesn’t have a fingerprint sensor and a heart rate monitor, but it does feature wireless charging, accelerometer, gyro, proximity sensor, and a compass, just like the Note 5. It offers Wi-Fi 802.11 and Bluetooth 4.1, alongside GPS, and it is a tad more affordable than the Samsung device, its price starting at $624. 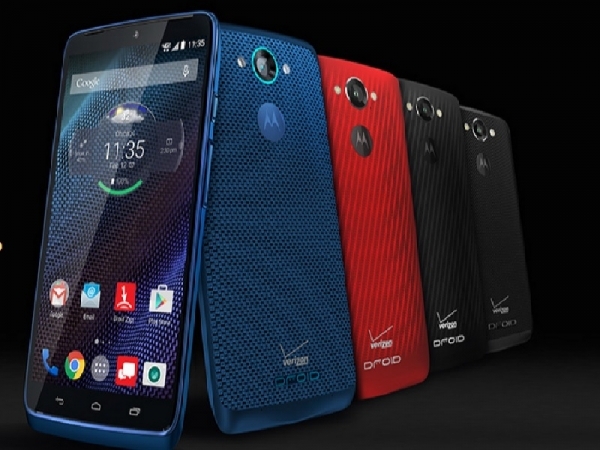 However, the Droid Turbo 2 is only available at Verizon while the Galaxy Note 5 can be purchased from the majority of carriers and unlocked also. The Samsung Galaxy Note 5 is definitely the beauty in this equation, but the Motorola Droid Turbo 2 seems to be a more practical choice. 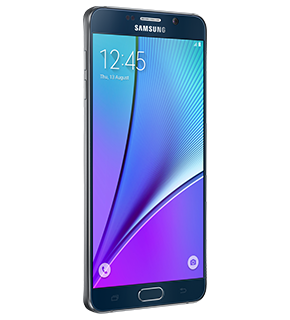 It is more durable, just as powerful as the Note 5, and it is a little more affordable also. Of course, if you don’t want to buy it from Verizon, you will have to settle for another Motorola model because this carrier has an exclusive deal on the device, but you can purchase the Moto X Force from outside the US, and have all that the Droid Turbo 2 has to offer.